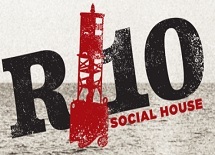 The R10 Social House is named after the deep water buoy, R10, which sits outside of the Redondo Harbor. This 90-seat neighborhood gastropub offers seasonal and Artisan dishes paired with wine, specialty cocktails and craft beers. R10 offers waterfront views in a beach/ California casual environment.